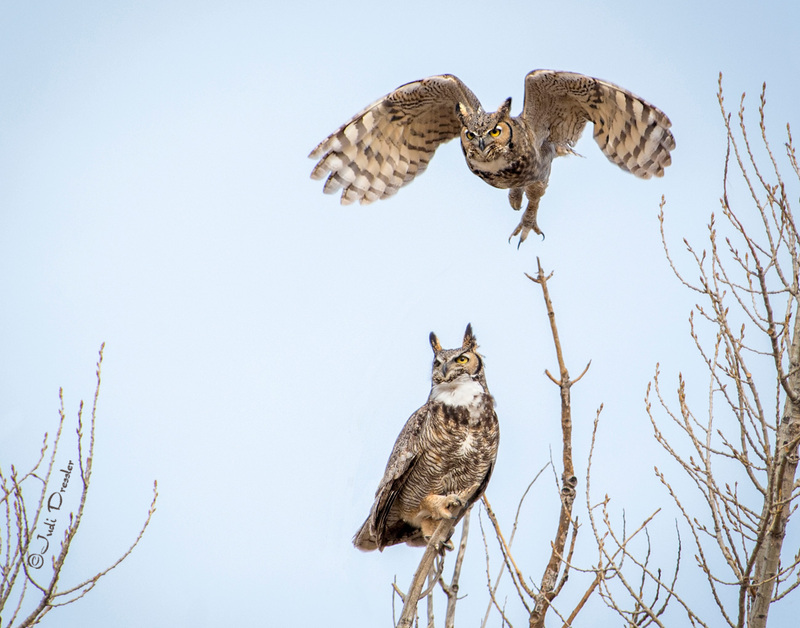 I watched this Great Horned Owl couple for quite a while from the car window. They were sitting together in the tree, quietly hooting to each other, back and forth. I imagined them saying sweet nothings to each other — after all, this is mating and breeding season for these owls. When the male suddenly took off flying, I was ready! Photo taken in February, 2017, in NE Colorado, near the Pawnee Grasslands.